How to set up multi-currency? Go to Advanced Settings & enable Multi-currency. 4. 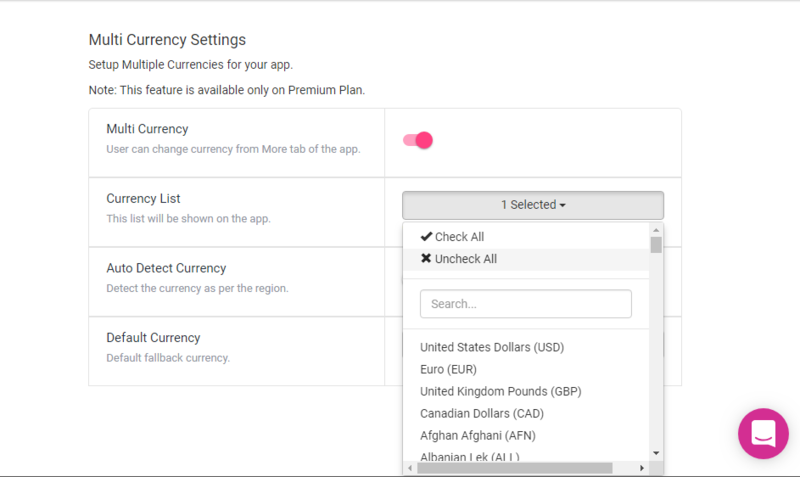 Go to Currency List & select all the languages you want, customers to see on the app. 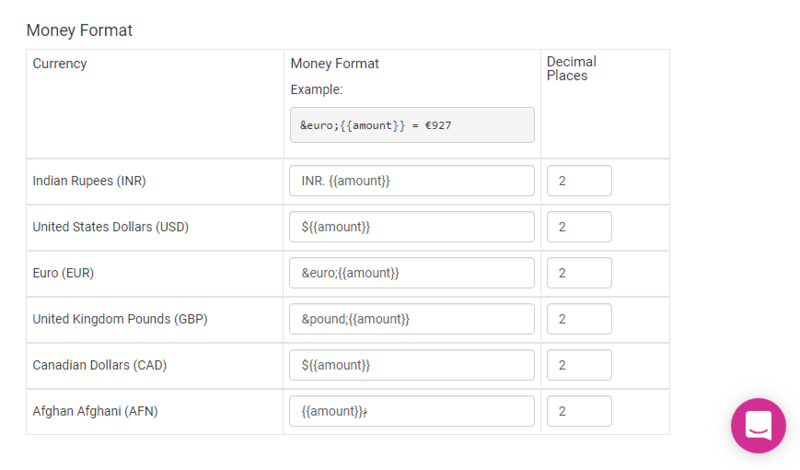 If you do not select any then it will show the default currency of your store. 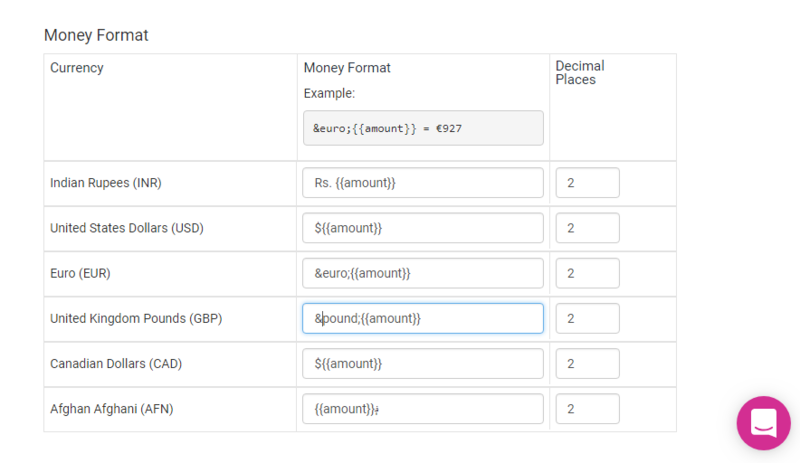 You can click on "Change Money Formatting" hyper link to change the currency symbols. For eg - Changing Rs to INR. Please do not make any changes within curly brackets & any colons. 5. Enable the Auto Detect Currency Option. It will detect the customers location & change the currency accordingly. 6. 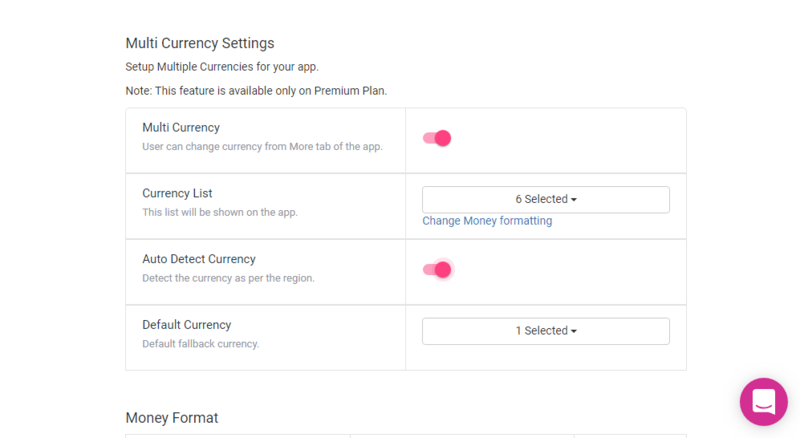 Default Currency is the option where you can default currency only for the app, your website currency will remain unchanged. Feel free to drop an email on support@plobalapps,com for any queries.